Nian Gao , a sweet sticky cake which sounds like Year High when spoken in Chinese, is said to symbolise reaching new heights in our lives - it is generally a wish for us to have a better year than the last. 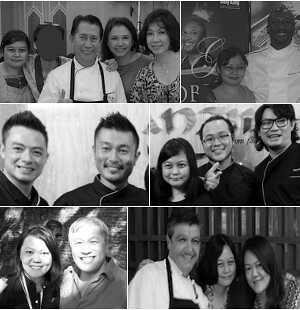 It is also known as the Chinese New Year cake because it is most sought-after during this festive season. Mom-in-law (MIL) gave us some to bring home earlier this week. I was pretty excited about it because I do love the stuff. My mom used to fry it with eggs for us when we were young. I carried the tradition on every New Year. Fresh out of the pan, the nian gao is gooey soft and stretches like mozarella cheese. It is always best eaten warm. Since I had some breadcrumbs left over, I thought I'd make my nian gao a little interesting this year. The result is a delicious sticky snack which is easier to handle. 1) Dip nian gao slices in beaten egg. Then, coat well with breadcrumbs. Set aside. 2) Heat cooking oil in pan - just enough for a pan-fry. 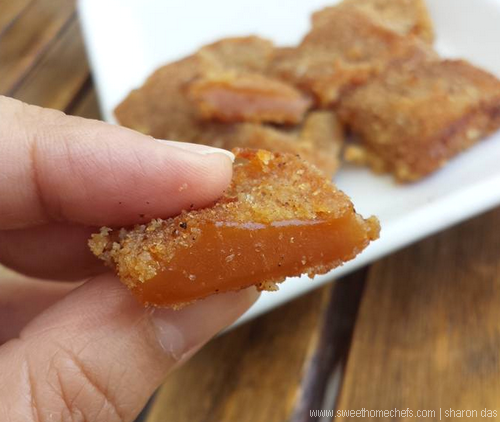 3) Pan-fry the breaded nian gao in low-medium heat, turning once, until nicely browned. Remove gently as it is soft. Best enjoyed warm with tea. A Facebook friend suggested that I try it wrapped with popiah skin. I'm game for anything nian gao related! That will be my cooking project this week. 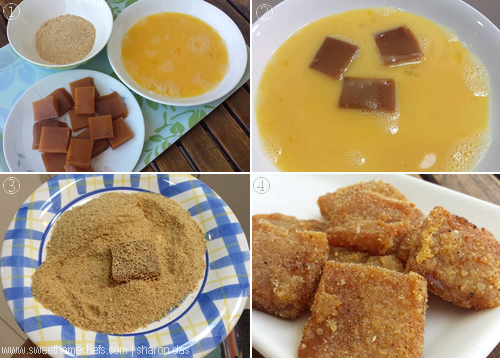 How do you prefer your nian gao? These panfried niangao slices look so inviting! 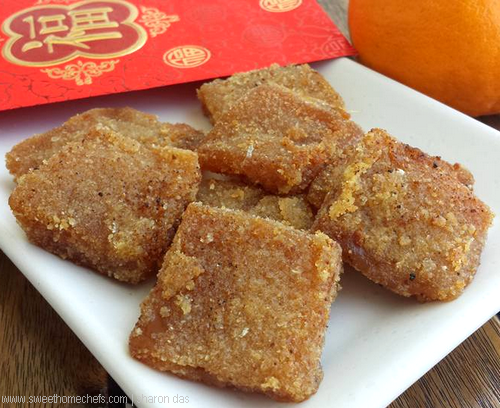 Oh I have never had nian gao with bread crumb...I must give this a try...looks great Sharon! I follow my mum's style too. Deep fried with egg. But I dont mind steam nian gao too. Thank you, Sharmila. Wishing you a nice day! OMG! 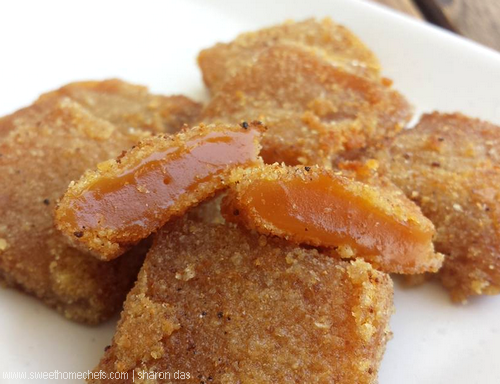 I am drooling now and want to eat fried Nian Gao so badly. Tonight I must go to One-Utama to buy them at RM5 for just 3 pieces. Really...1Utama? I must hunt this down ..lol. My favourite too.